It was the party to end all parties. Otomo no Tabito, the governor-general of Dazaifu had invited thirty-one bigwigs from all over Kyushu to a fete in his garden, scheduled to be held a fortnight before reigetsu, the “auspicious moon” that marked the second month of the lunar calendar. The year was 730 AD. People came from as far away as Satsuma and Tsushima. The plum blossoms were just starting to open, there was mist on the mountains and the first signs of life were stirring – new butterflies had hatched from their cocoons, and old geese returning from their winter retreats. Pleasantly sozzled, the vice-governor Lord Ki came up with a poem of welcome, suggesting that it was a nice night to welcome the plums – likely a reference not only to the flowers in the garden, but to the booze everyone was knocking back. His junior assistant, Mr Ono, answered with a poem of his own, pleading with the blossoms not to fall and scatter. Don’t forget the willows, said Mr Awata, another junior, again in verse form, creating a chain in which every guest threw in his own variation on a theme. It was a decidedly Chinese affair, redolent of the contemporary drunken poet Li Bai, conceived in apparent imitation of similar festivities in Chang-an, the distant capital of China’s Tang dynasty. There was a lot of talk of flowers, but also of the transience of life and the joys of booze. Later verses, fuelled by more wine, drifted a little towards the maudlin. The penultimate poem, from the secretary Mr Kadobe, spoke wistfully of the blossoms staying forever to delight the girl he loved… a rather tardy acknowledgement that only men’s voices were being heard, and that maybe they could all find something better to do than sitting around talking to other blokes. The women, presumably, were off somewhere having a party of their own, with limbo dancing and pillow-fights. Otomo no Tabito died the following year, in his mid-sixties. The cycle of verse from his big party was preserved for long enough to end up a generation later in one of the poetry selections in the Manyoshu (Collection of Ten Thousand Leaves). It came accompanied by a preface written in literary Chinese, which set the scene with the fateful line (taken here from Edwin Cranston’s translation in A Waka Anthology: “It is now the choice month of early spring; the weather is fine, the wind is soft.” One thousand, two hundred and eighty-nine years later, the two characters rei and wa would be lifted from that phrase, and used to name the reign of the new Japanese emperor, Naruhito, in 2019. 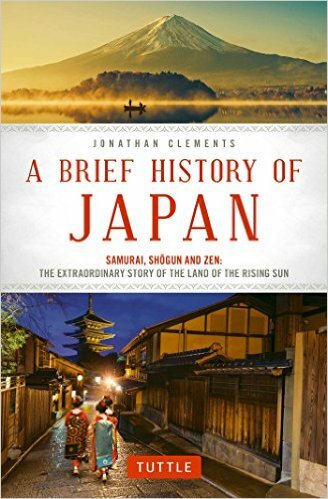 Jonathan Clements is the author of A Brief History of Japan.